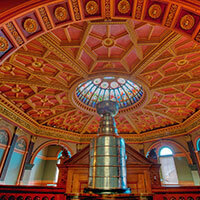 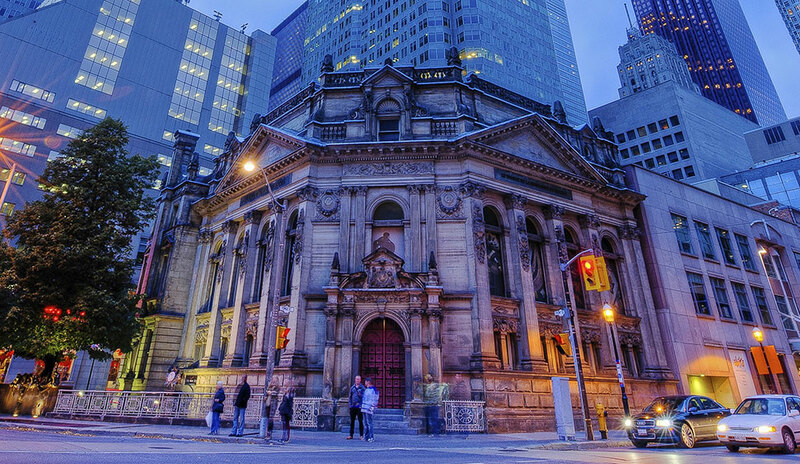 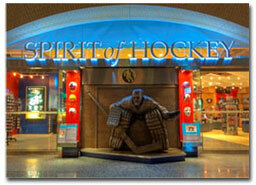 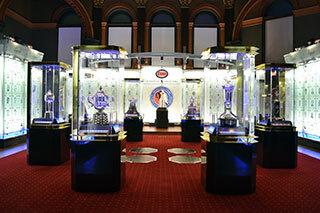 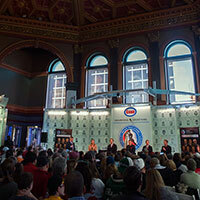 Located in the heart of downtown Toronto, the Hockey Hall of Fame is an experience like no other. 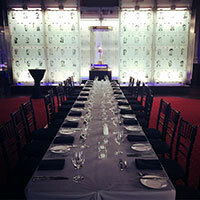 The venue’s majestic and vibrant setting caters to a variety of special functions, from elegant dinners and cocktail receptions to award ceremonies and corporate meetings. 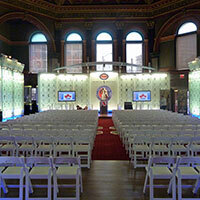 The historic Esso Great Hall was constructed in 1885 and served as the financial headquarters for the Bank of Montreal. 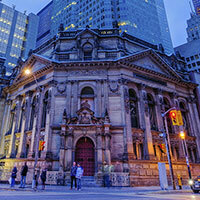 Ornate and regal, the Great Hall rises an impressive 45 feet high and is met by a 24-panelled, stained-glass dome, the largest of its kind in Toronto. 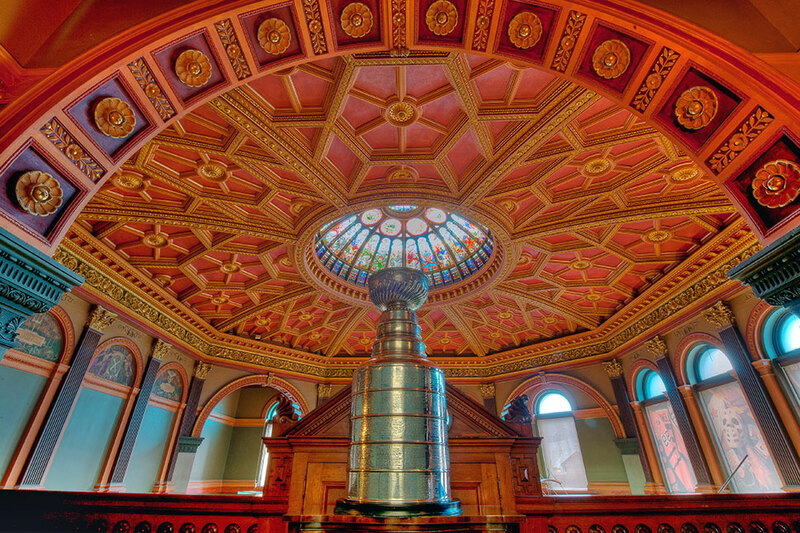 Today, the Great Hall is home to the Stanley Cup, all the major NHL trophies, and plaques of every Honoured Member of the Hockey Hall of Fame. 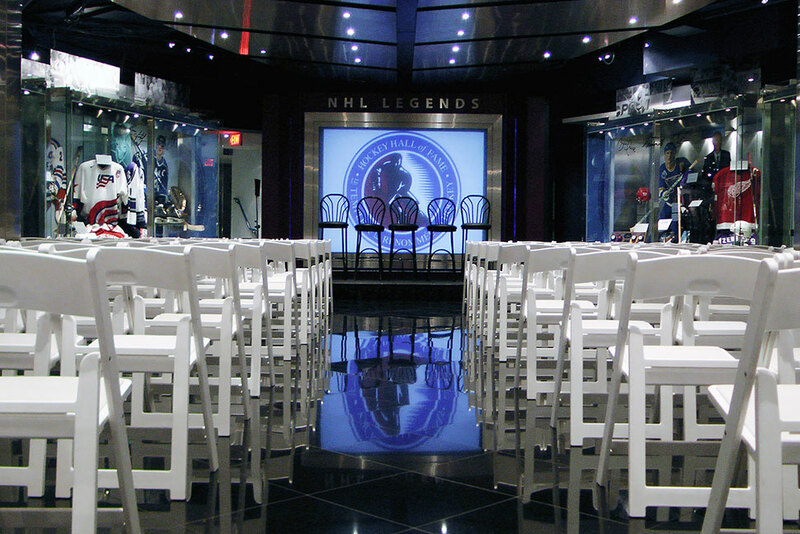 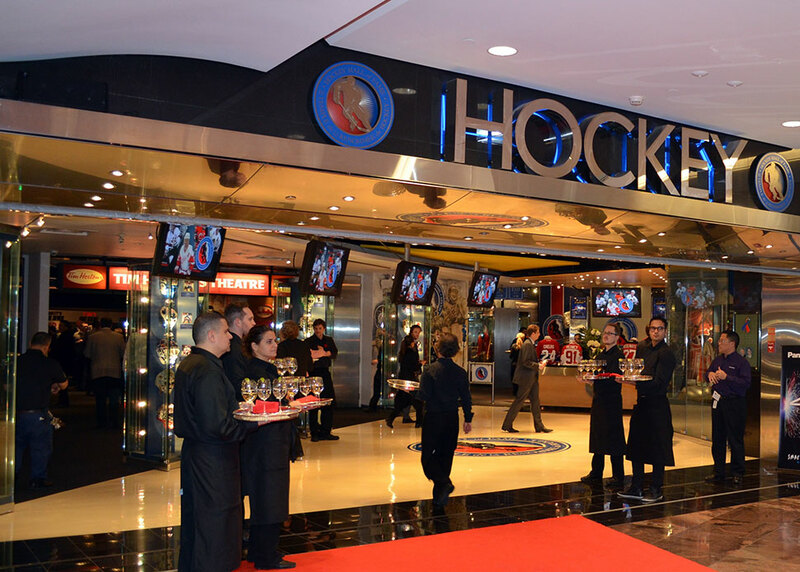 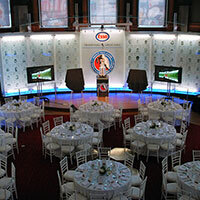 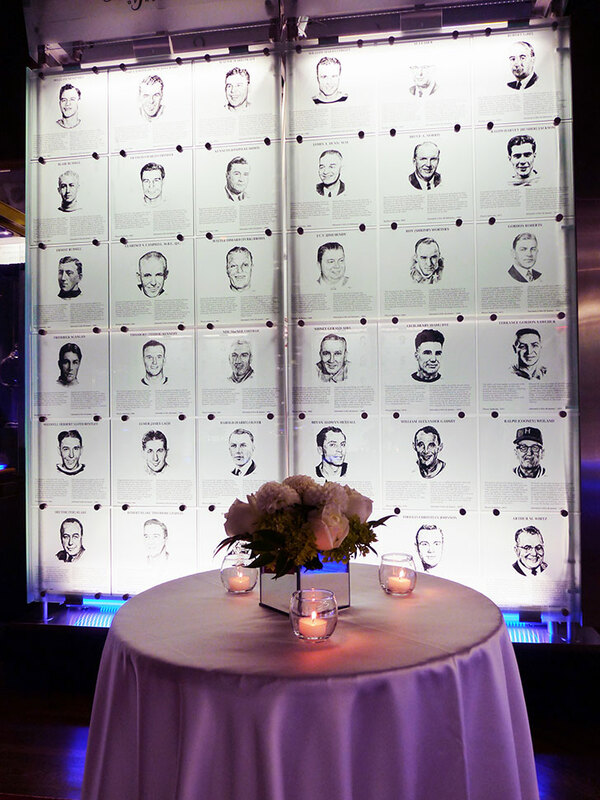 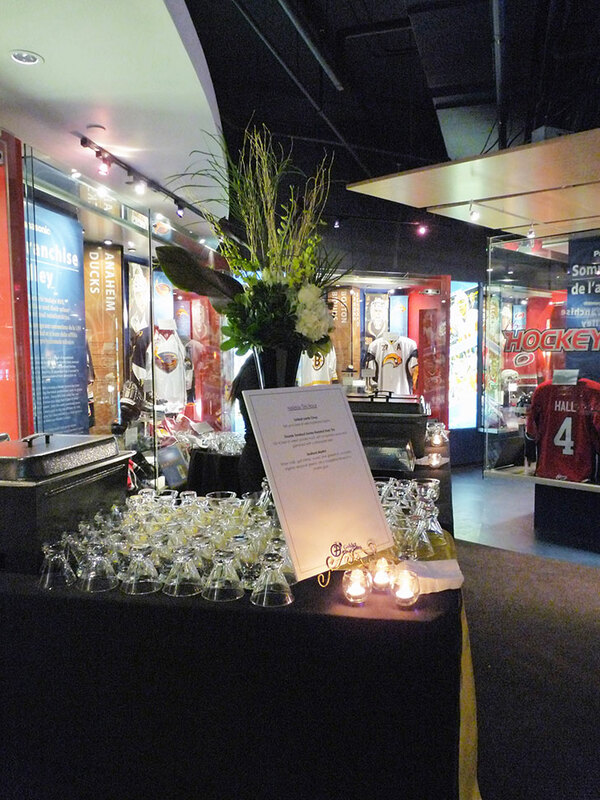 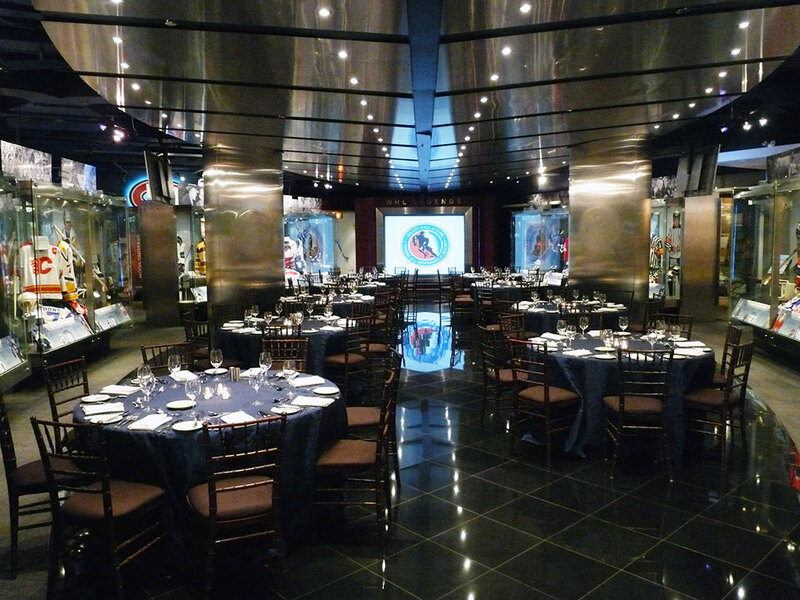 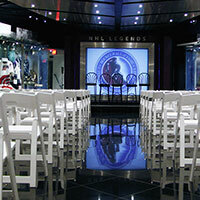 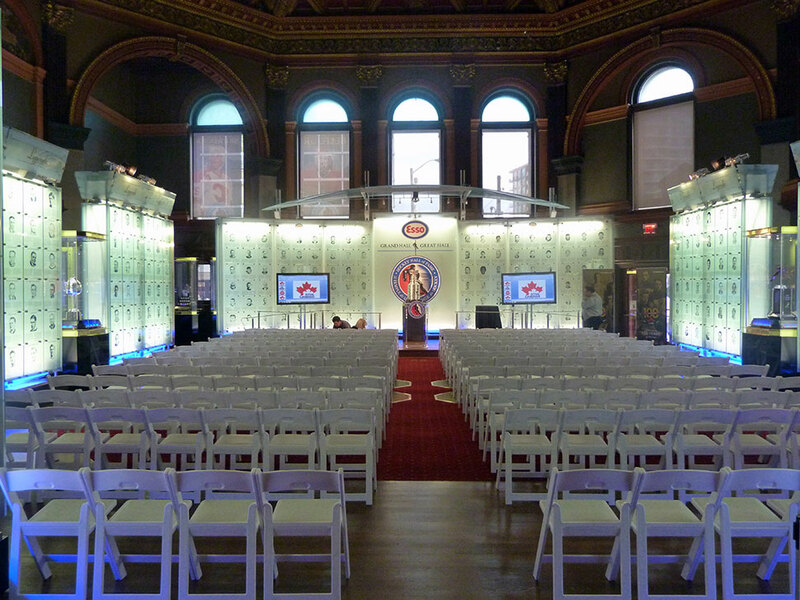 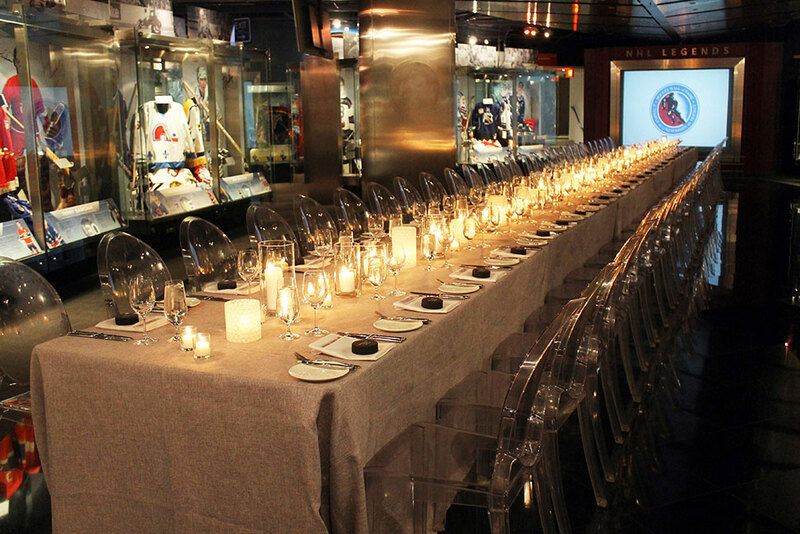 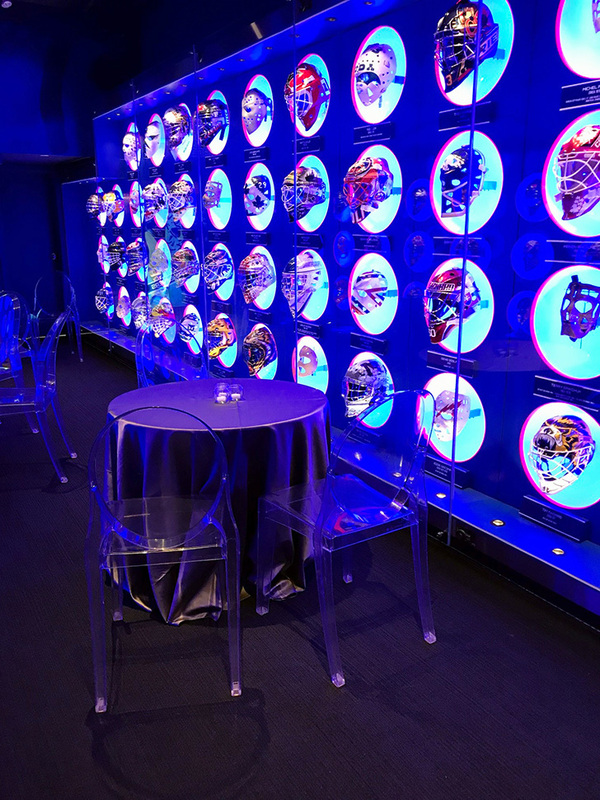 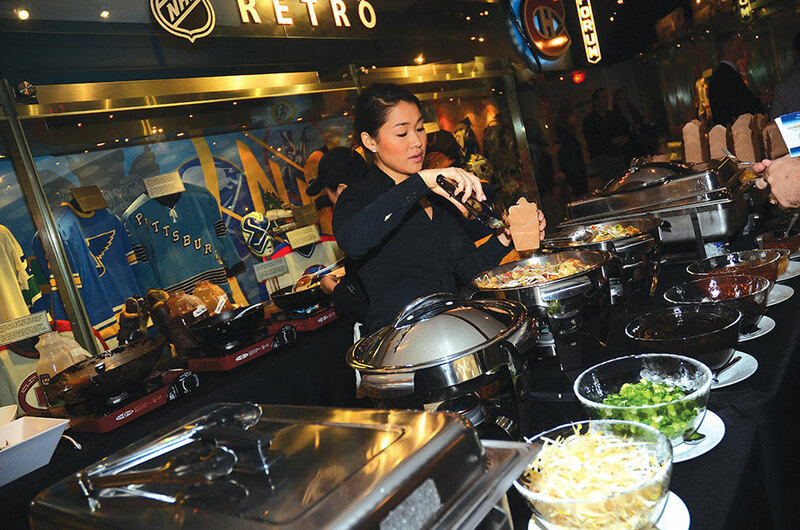 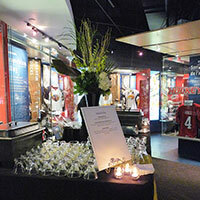 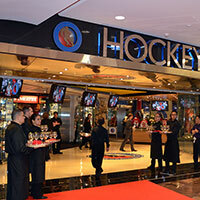 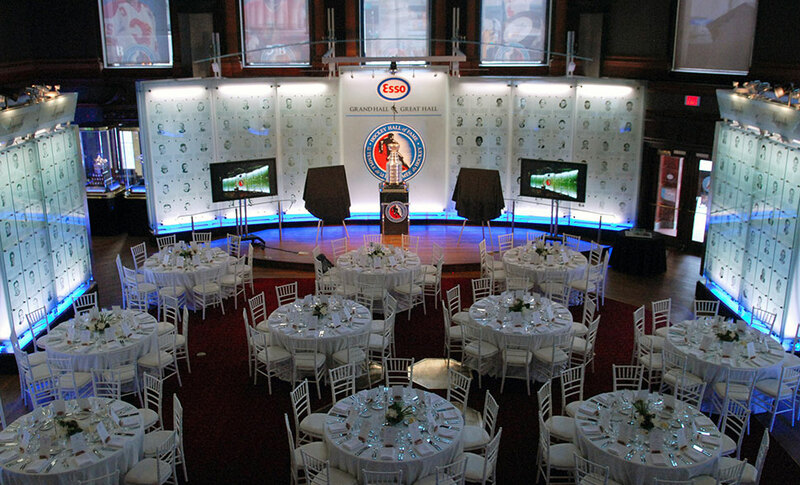 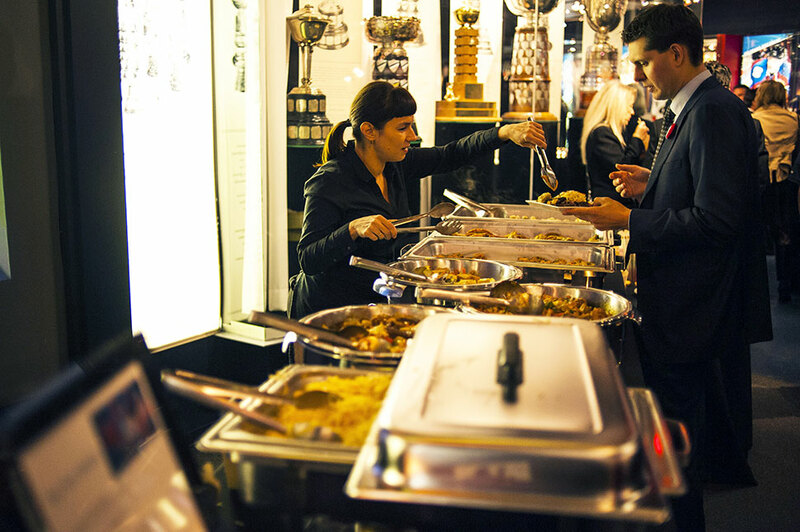 The Hockey Hall of Fame Concourse Level offers an exceptionably versatile event space that provides an entertaining and intimate journey into Canada’s primary passion. 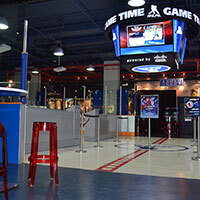 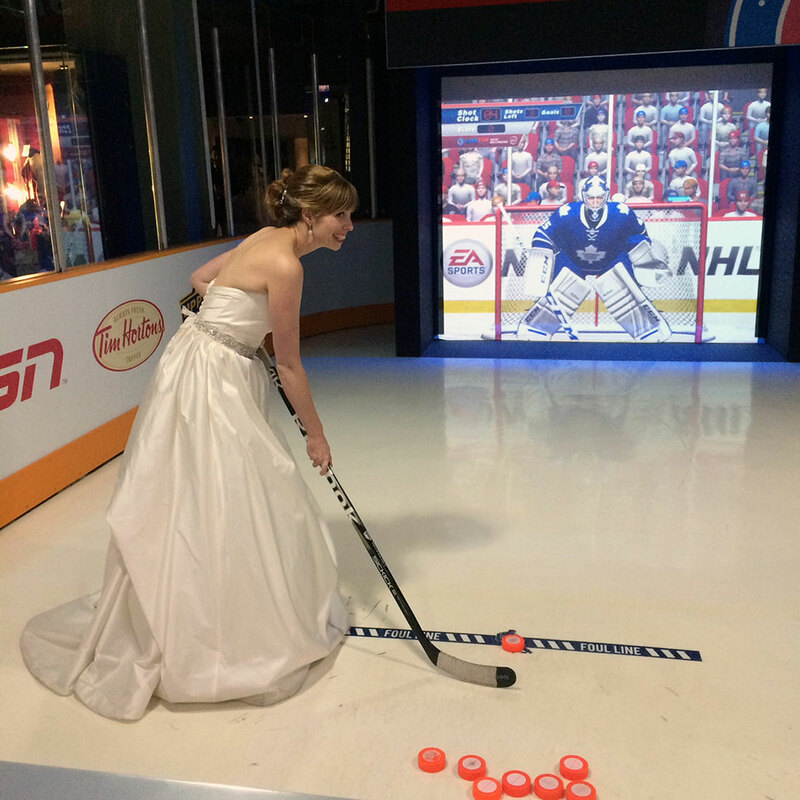 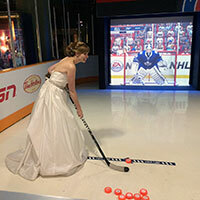 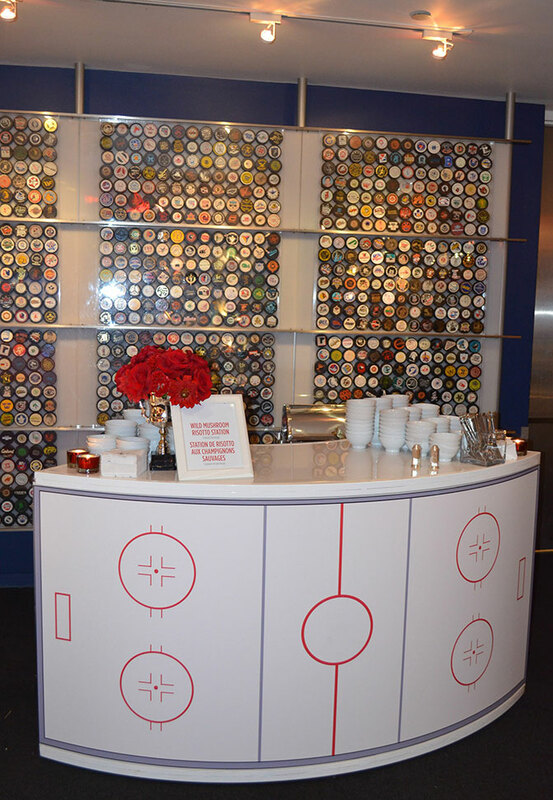 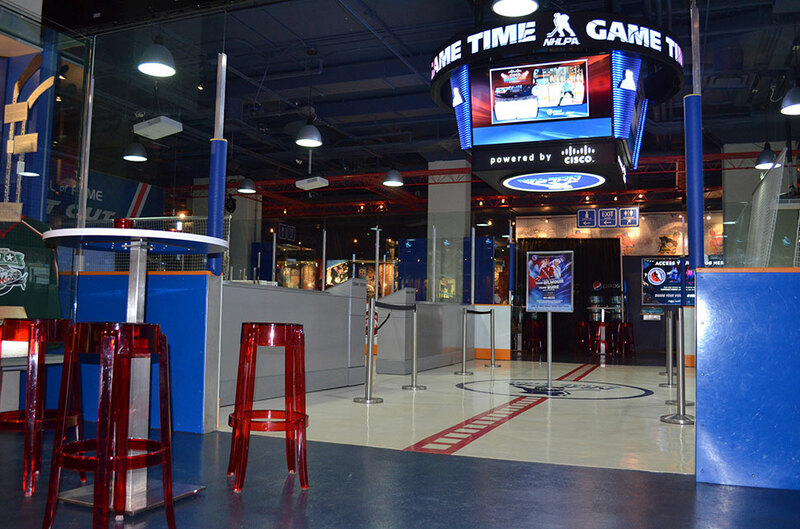 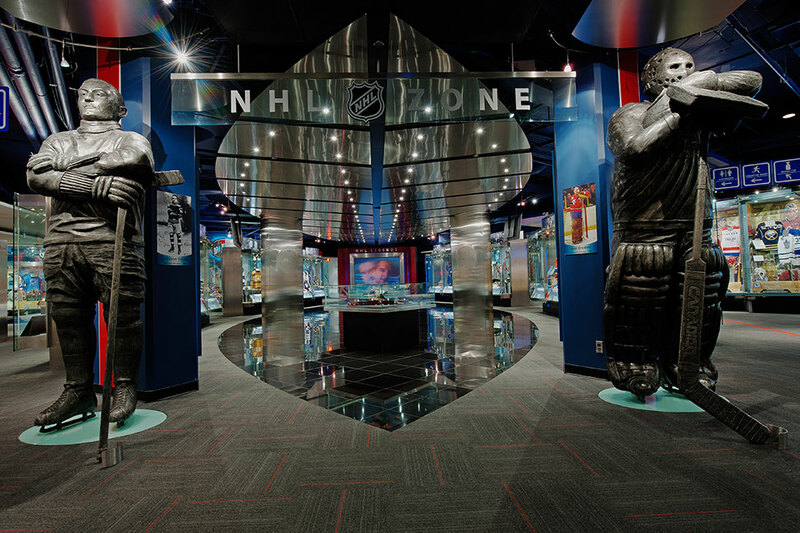 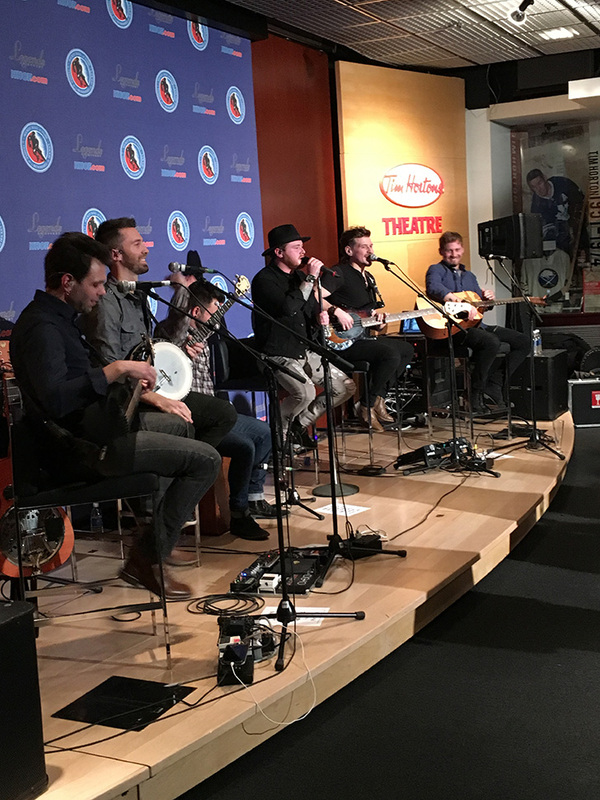 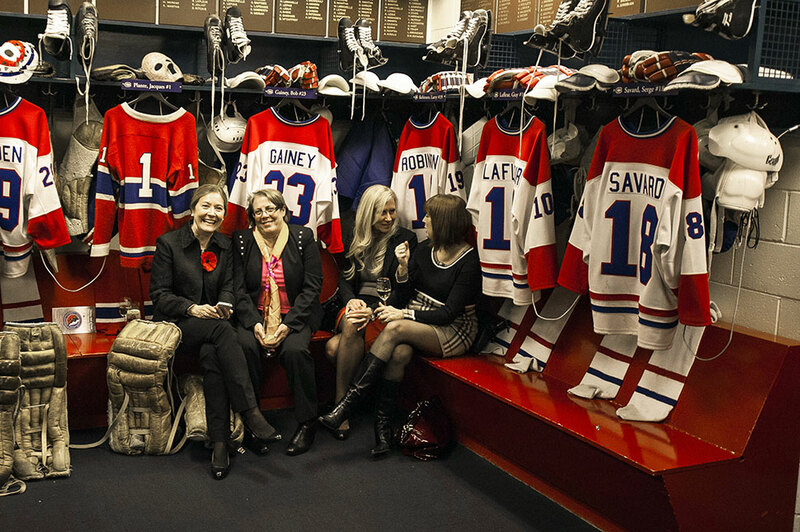 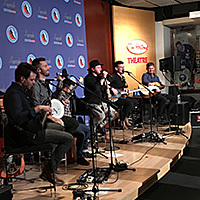 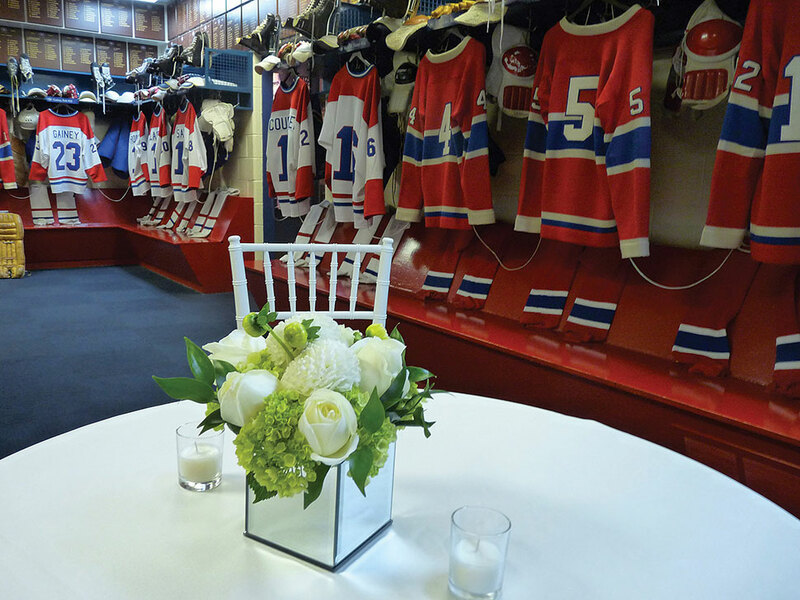 Guests can explore numerous exhibits, theatres, as well as immersive environments, including an interactive rink area and a replica Montreal Canadiens dressing room. 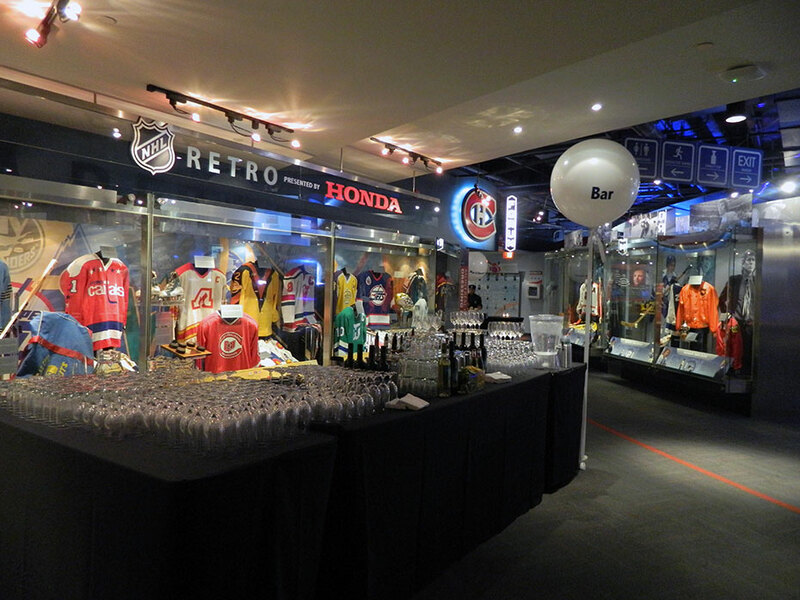 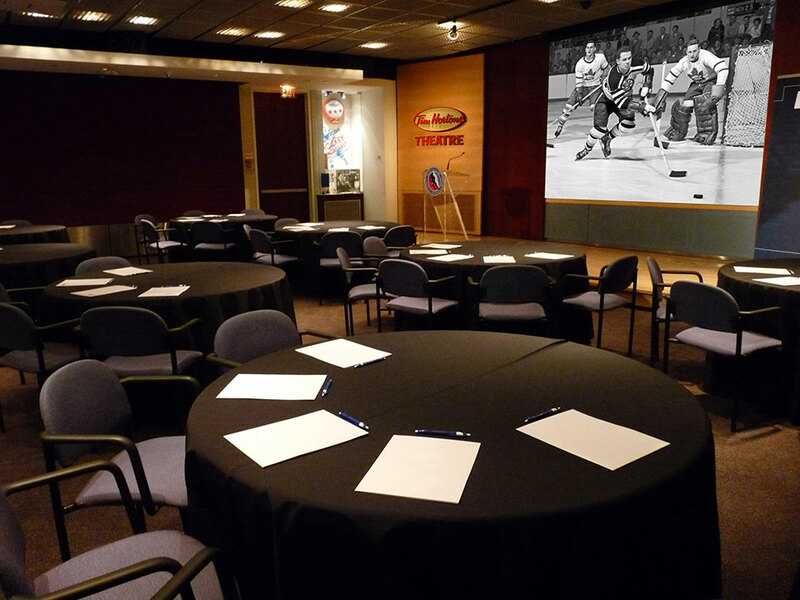 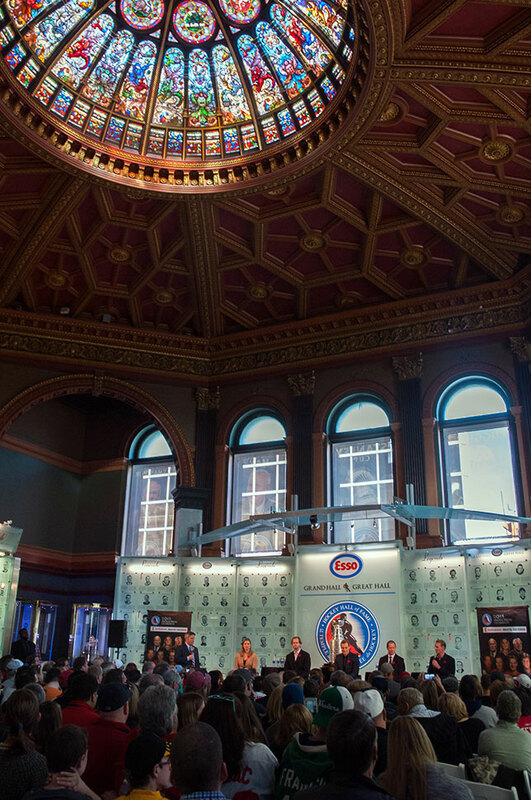 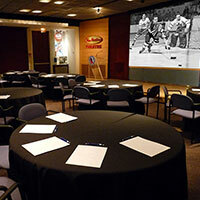 The Full Facility of the HHOF consists of both the Esso Great Hall and Concourse Level, allowing your guests the opportunity to have access to all the displays and features that the HHOF has to offer. 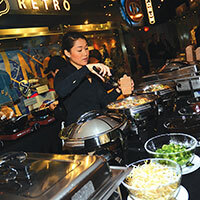 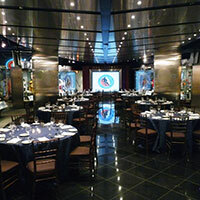 The Full Facility can accommodate a range of different events including elegant seated dinners, small and large cocktail receptions as well as food station receptions with DJ’s and dancing. 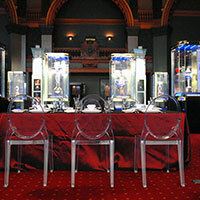 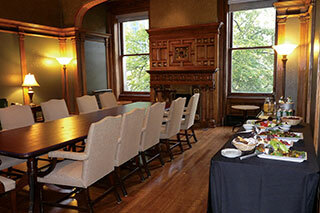 Give your guests an evening to remember with a reception and VIP "behind the scenes" guided tour of our collection. 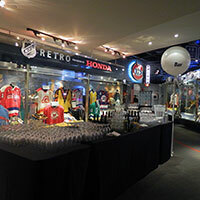 The 18,000 square foot resource centre is the home of the Hockey Hall of Fame's vast artifact and archival collections and serves as the focal point for research into the history of Canada's game. 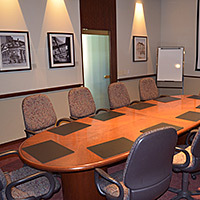 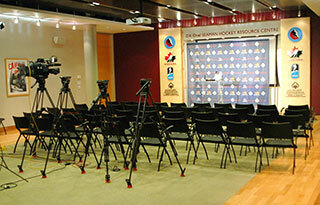 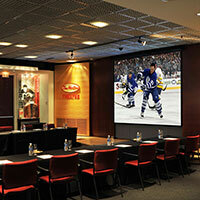 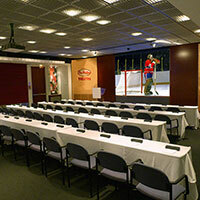 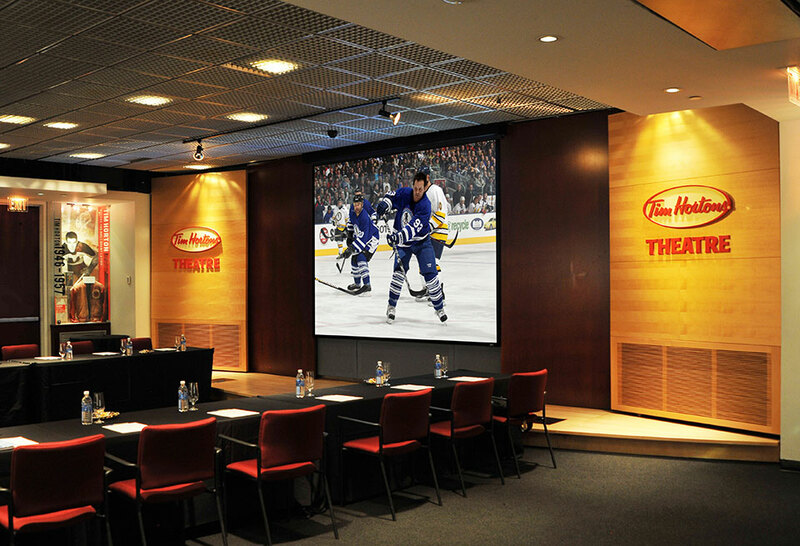 The Tim Hortons Theatre is a prime location to hold annual meetings, seminars, and presentations. 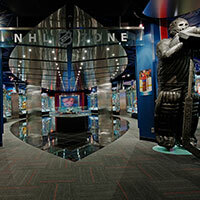 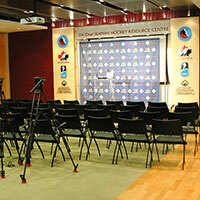 Conveniently located at the front entrance of the Hockey Hall of Fame, this space is easy to get to and is connected to Toronto's extensive underground PATH system. 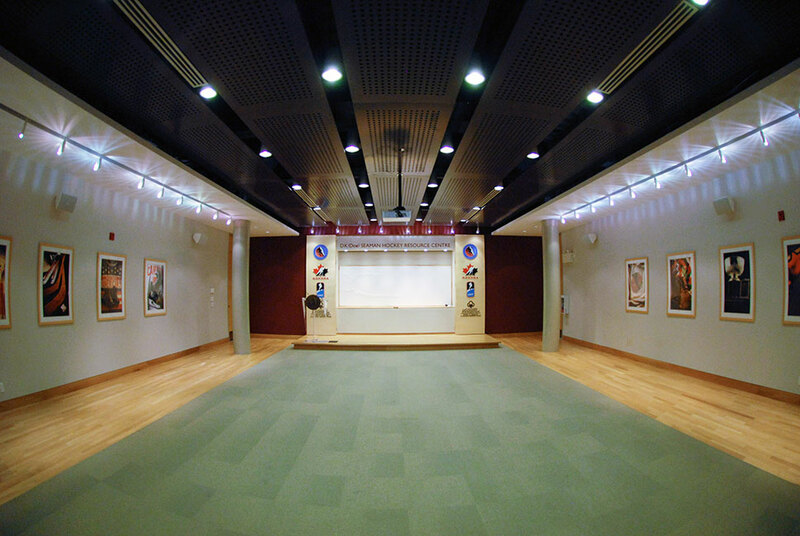 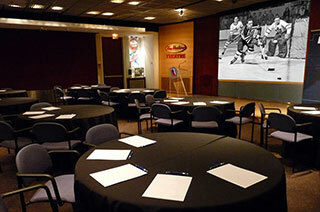 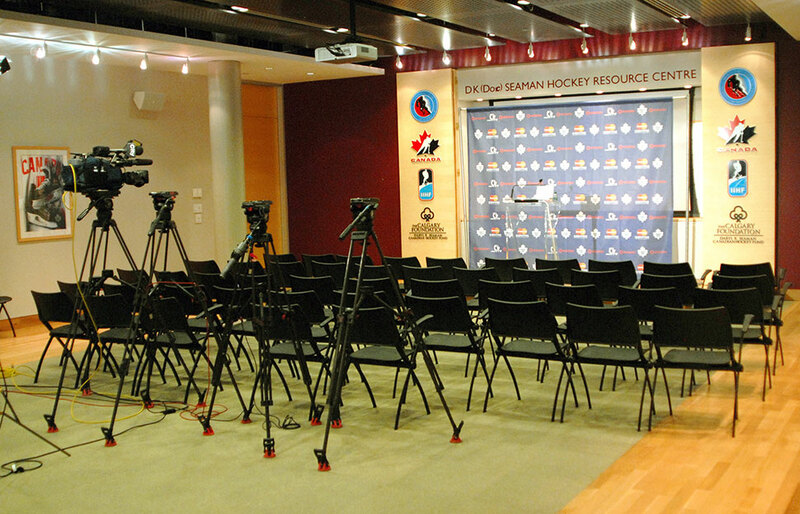 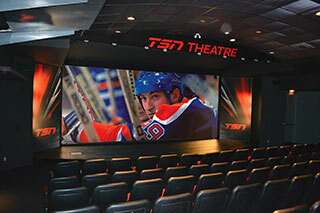 The TSN Theatre is perfect for those formal presentations, Annual General Meetings and Town Halls. 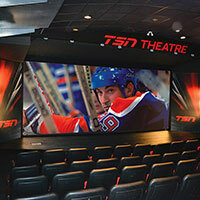 It has 125 comfortable seats set in a tiered theatre-style format. 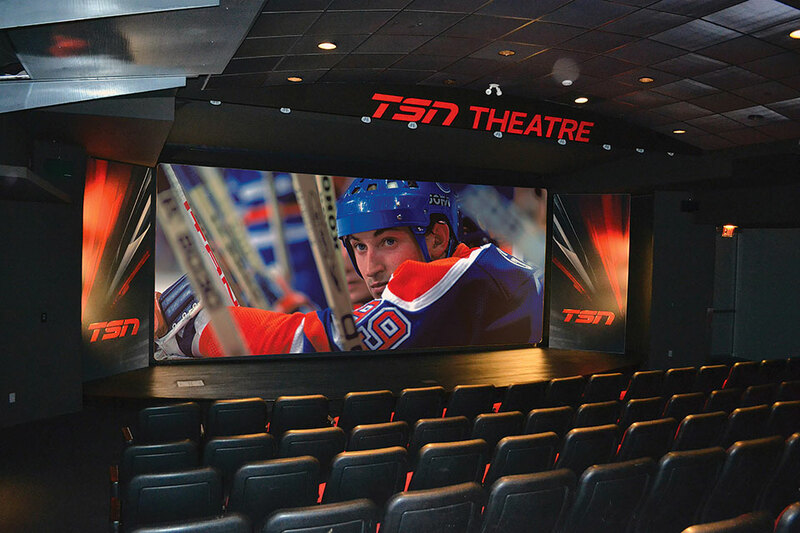 The TSN Theatre set up will make any presentation impactful and powerful. 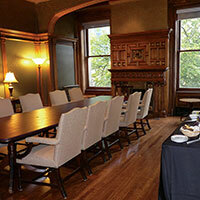 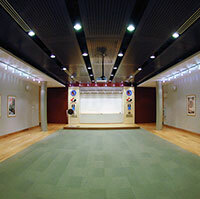 The Founders Room is rented in combination with the adjacent Vault Room. 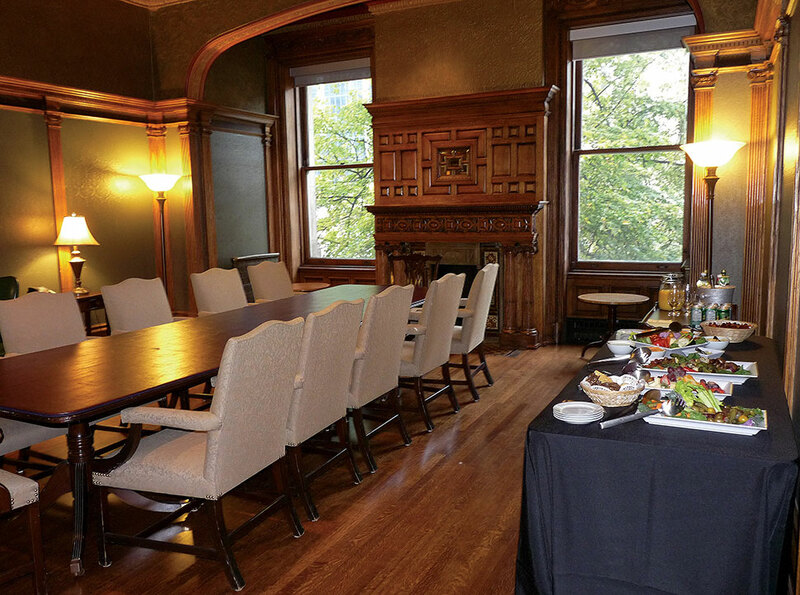 Originally used as the private suite of this building’s bank manager at the turn of the 19th century, the Founders Room serves today as a reminder of the elegance of yesteryear, primed with an antique fireplace and fine wood craftsmanship. 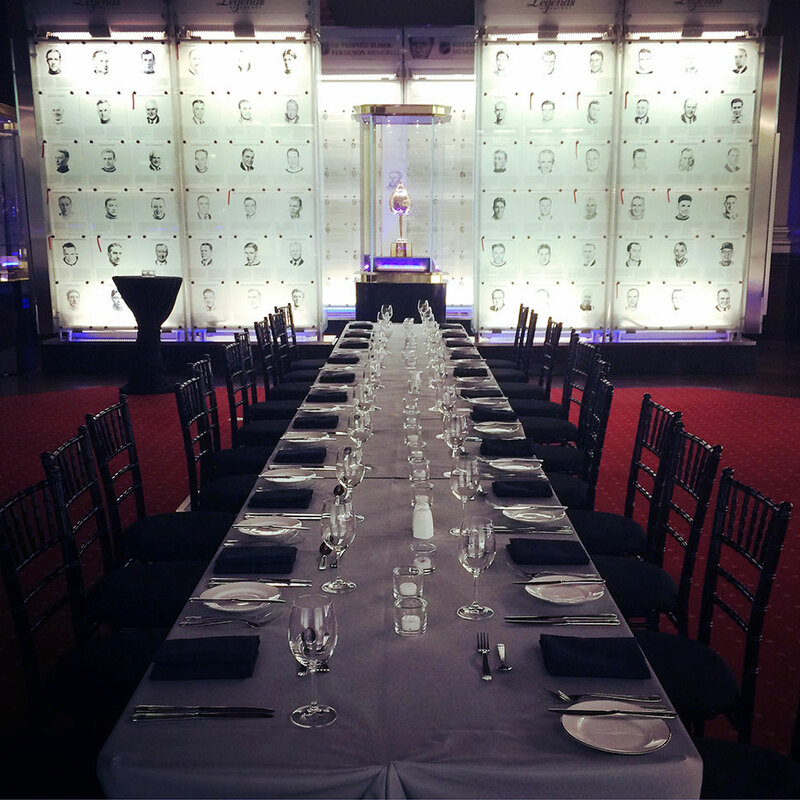 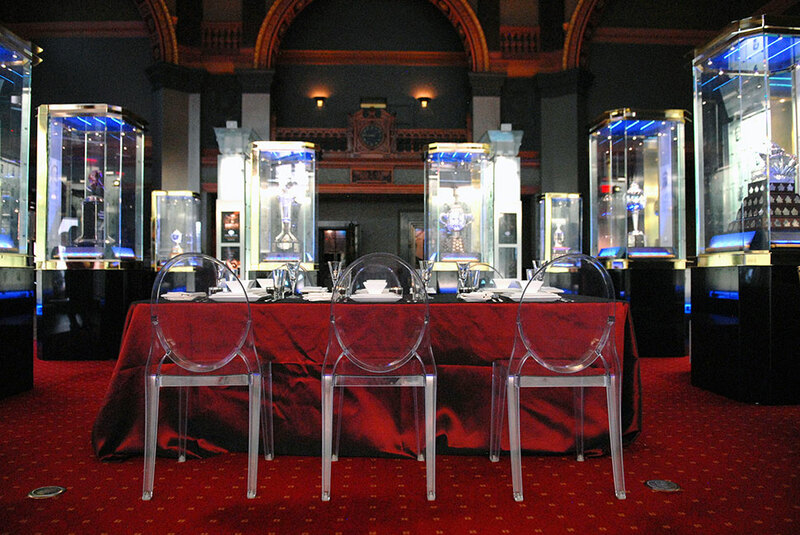 The Vault Room matches the Founders Room in historic significance as it served as the bank’s second-level vault. 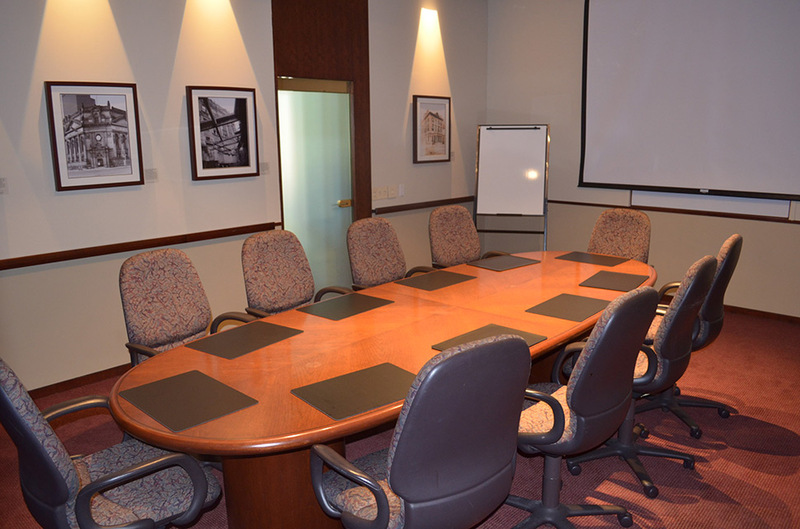 This room has now been renovated into a modern meeting space equipped with a projector, screen and boardroom table. 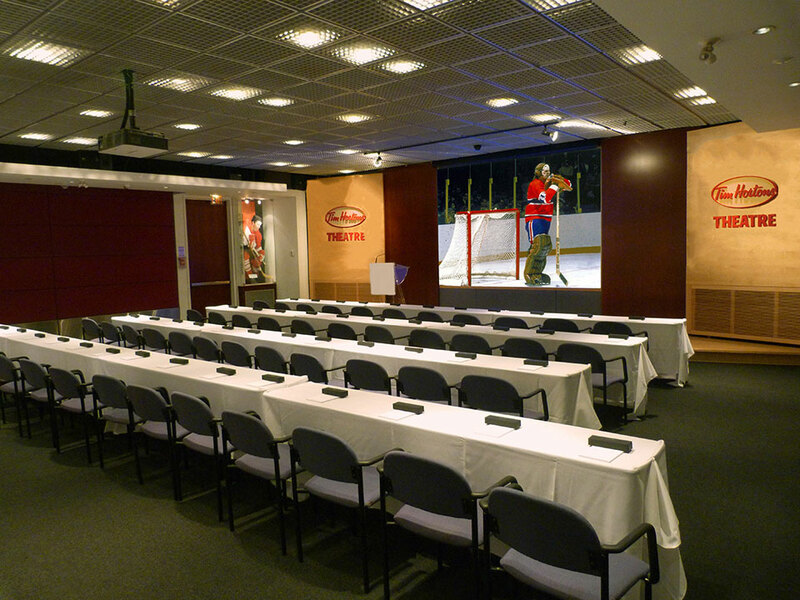 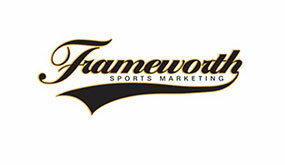 Nothing combines hockey and business quite like this complex. 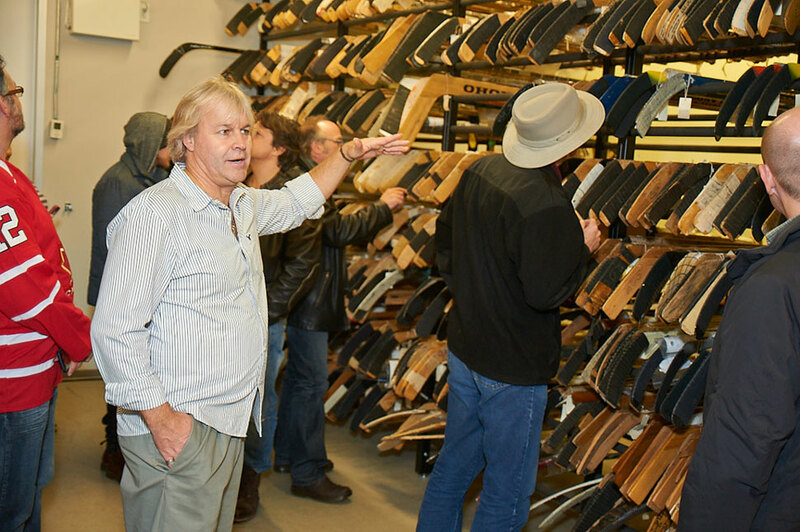 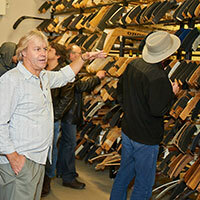 The 18,000 square foot resource centre is the home of the Hockey Hall of Fame's vast artifact and archival collections and serves as the focal point for research into the history of Canada's great game and cultural export. 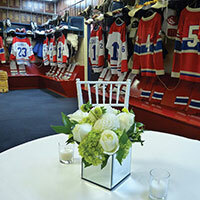 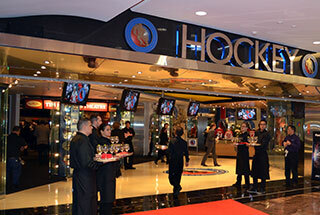 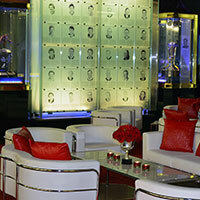 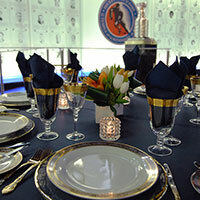 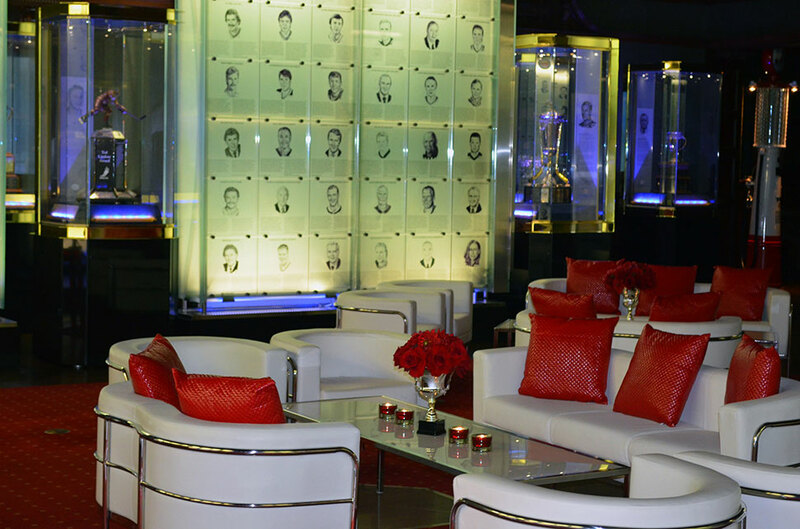 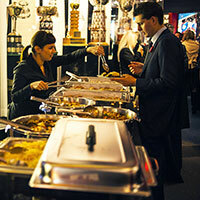 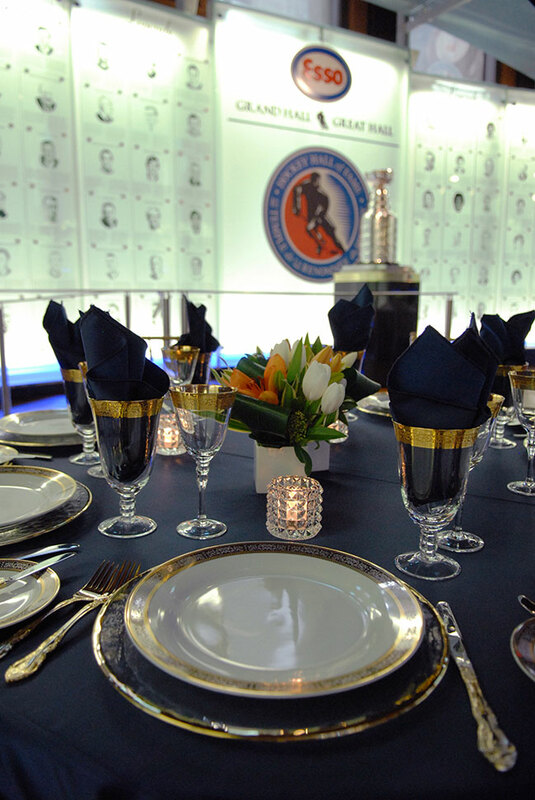 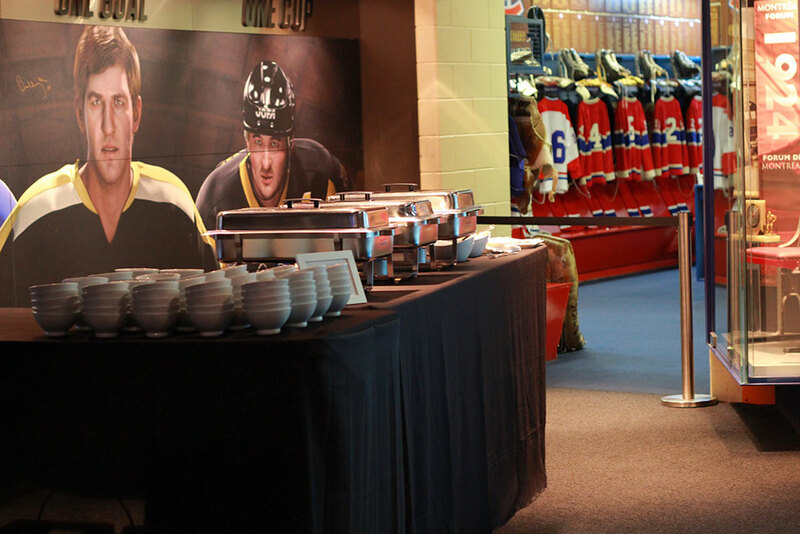 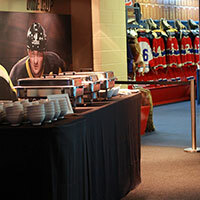 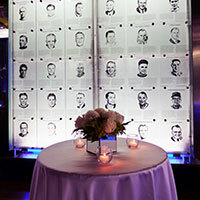 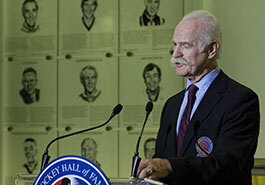 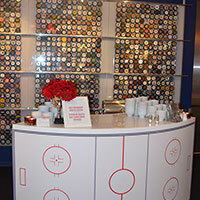 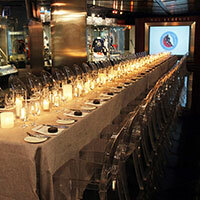 To treat your guests as ultimate VIPs, give them the opportunity to meet one of hockey's greats. 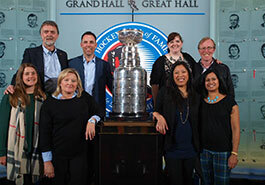 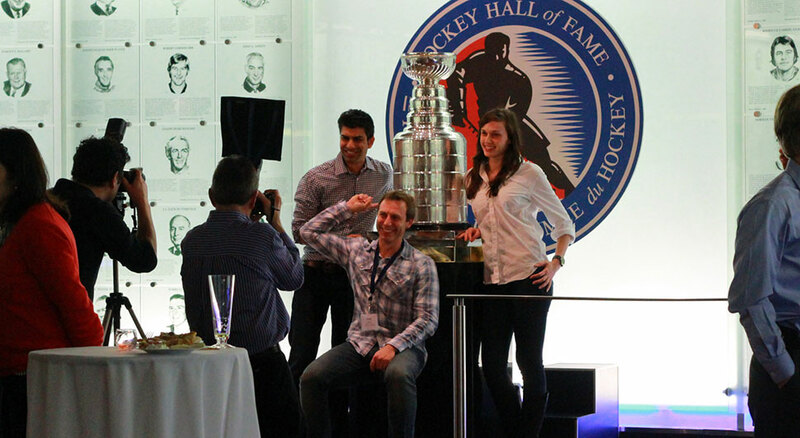 Your guests can get a professional picture with the Stanley Cup. 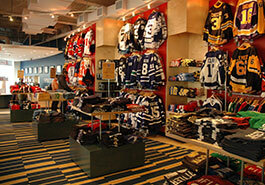 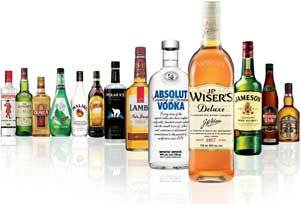 Book your event and receive a 20% discount from our retail store. 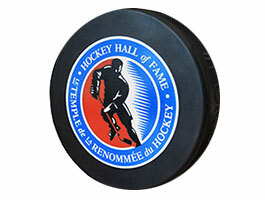 HHOF logo on one side and your logo/design on the other. 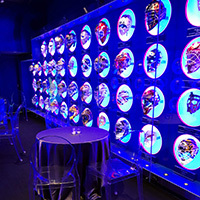 Click on a star above to assign a rating. 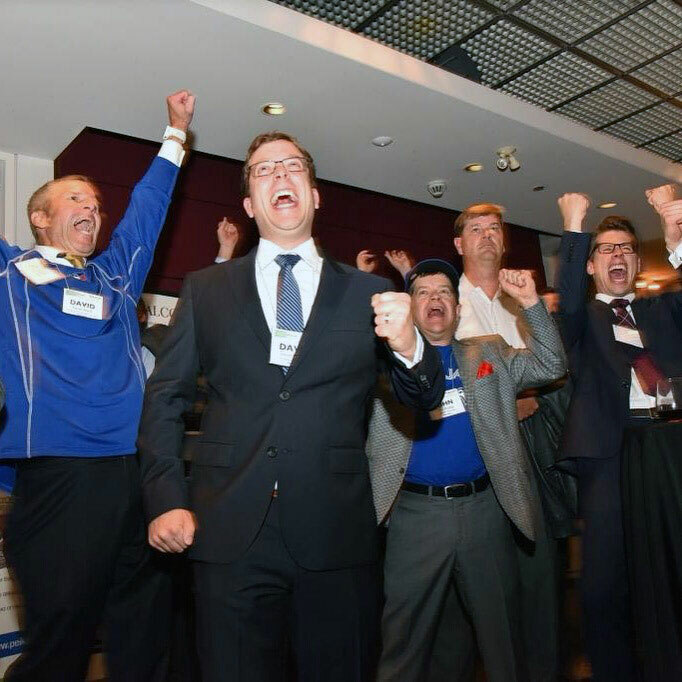 Your comment has been received and is pending approval.